We are certified by the US Fish & Wildlife Service and Washington Department of Fish & Wildlife to survey for the presence of the Mazama pocket gopher. Contact us before conducting projects that may pose a risk of impacting these endangered species, such as development within their known ranges. What is the Mazama pocket gopher? The Mazama pocket gopher (Thomomys mazama) is a species of burrowing rodent differentiated from other gopher species due to its small size. They are most frequently associated with prairie ecosystems but can be found across the landscape in areas of suitable soils and habitat. Mazama pocket gophers are ecosystem engineers that can drastically impact soil characteristics, such as aeration, nutrients, and chemistry. They also affect the plant community, have old burrows utilized by numerous species, and are valuable prey species. 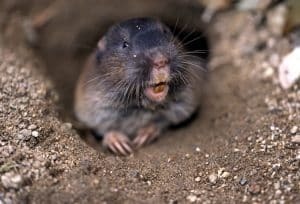 There are four subspecies of the Mazama pocket gopher that have been identified for federal protection: Roy Prairie pocket gopher, Olympia pocket gopher, Tenino pocket gopher, and the Yelm pocket gopher are listed at Threatened under the Endangered Species Act. The Mazama pocket gopher is currently known to be found in Clallam, Mason, Thurston, and Pierce counties. The federally listed subspecies are currently found only in Thurston and Pierce counties. This linked map shows the likely areas for gopher habitation in those counties. The map is by no means a detailed inventory, and each site that has the potential for pocket gophers should be surveyed prior to development. 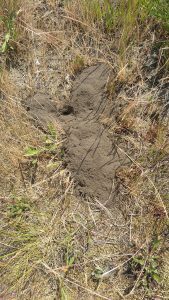 Example of a typical Mazama pocket gopher mound, with a low profile, irregular shape, and finely shifted sediment. 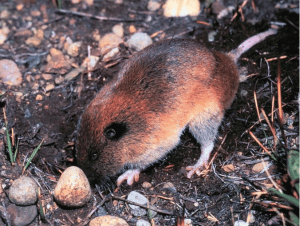 Due to the benefits the Mazama pocket gopher provides and the threats to the species, the species was listed as threatened by Washington Department of Fish and Wildlife (WDFW) in 2006, and the four subspecies were listed as threatened by the US Fish and Wildlife Service (USFWS) in 2014. 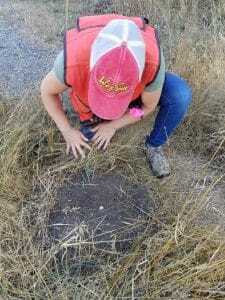 The main threat faced by the pocket gophers is habitat loss and fragmentation through development activities. The state protection means the pocket gophers are protected from deliberate killing, and the federal protection for the four subspecies protects them from “take”. A “taking”, under federal law, is activities that “harass, harm, pursue, hunt, shoot, wound, kill, trap, capture, or collect, or to attempt to engage in any such conduct”. This can include significant habitat impacts that result in death or injury of the gophers due to significantly impairing their essential behavior patterns. This is why it is so important to have a survey conducted prior to development when in an area that could potentially support Mazama pocket gophers. The repercussions for violating the Endangered Species Act can vary depending on severity and intent, but can range from fees to jail time, with harsher penalties used if protected species are knowingly harmed. There are areas and activities that are exempt from the standard protections. These are defined by the current guidance published by the USFWS, “Guidance for Assessing Potential Take of Mazama Pocket Gophers in Thurston and Pierce Counties”. What is the correct process for someone who wants to develop in these areas? Developing in an area that may contain Mazama pocket gophers is similar to the critical area permitting we do frequently here at Peninsula Urban Forestry. Let’s say you are in one of the Mazama pocket gopher service areas of Thurston and Pierce County, and not within a preclusion zone that do not require screening for pocket gophers. If you decide to develop then, as part of the building permit application, the County is likely to require a screening for Mazama pocket gophers be performed by a certified technician. The screening is a simple determination of either evidence of the pocket gopher exists, or was not observed. The screening must take place during the Mazama pocket gopher’s active period of June 1st through October 31st. If there is no evidence of the Mazama pocket gopher after two site visits then a project can generally proceed as normal, after reporting these findings to the appropriate regulators. 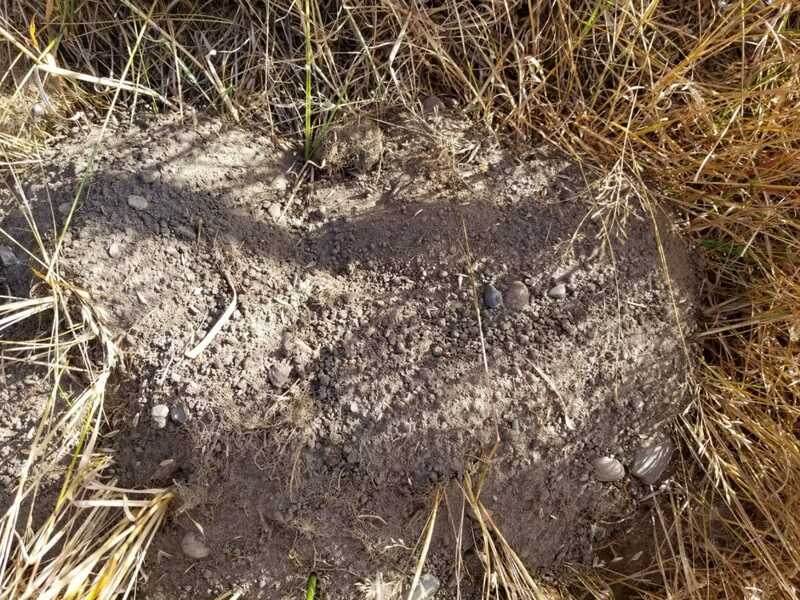 Not seeing evidence of the pocket gopher does not mean it is absolutely not on site, or will not one day migrate to a site, but it does show due diligence to the local permitting agency and to both the USFWS and the WDFW. 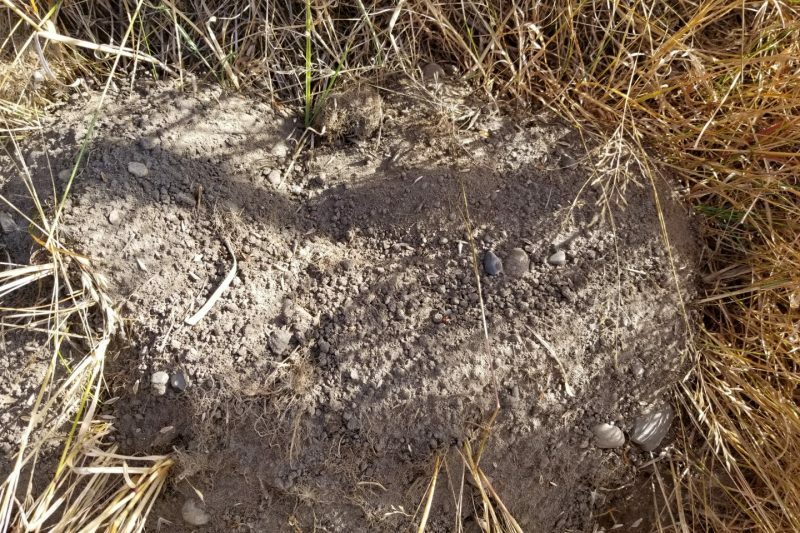 If Mazama pocket gopher mounds are found on site, then the County will likely require a site specific analysis of the potential impacts of a given project and how those impacts will be mitigated. Often called habitat conservation plans or habitat management plans, this type of report uses the best available science and coordinates with the USFWS to thoroughly address any concerns regarding a potential “take” of threatened wildlife. If you are in need of certified technicians to perform a required Mazama Pocket Gopher Screening, give Peninsula Urban Forestry a call!